Reading Romans in Context is distinct in that it introduces elements of context by focusing on particular texts. We might say that books on biblical backgrounds often take a wide-angle approach; Reading Romans in Context is a zoom lens that takes the reader up close to the particularities of the ideas in question. I find that students are sometimes intimidated by the large amounts of information that come with a lecture or reading assignment on New Testament backgrounds. There is a lot to learn, and it takes a lot of work. The precision focus of the chapters in this book strikes me as offering a complimentary approach that has potential to mitigate that problem. Students should be able to handle this book, and I am happy to recommend its use in a course introducing the New Testament, Paul and his letters, or on the exegesis of Romans. As a pastor, I would also feel comfortable recommending this book to an interested layperson in a local church setting. Thanks Matt for the review. Although there are not formal plans (yet) for additional volumes on Paul’s letter, we are working on Reading Mark in Context. I (Ben) am starting work on a book on justification in Paul: Participating in the Righteousness of God: Justification in Pauline Theology (with Eerdmans). 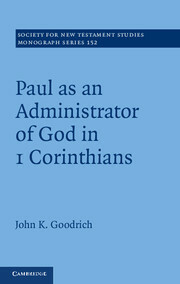 Of course, the first question is: why do we need another book on justification in Paul? 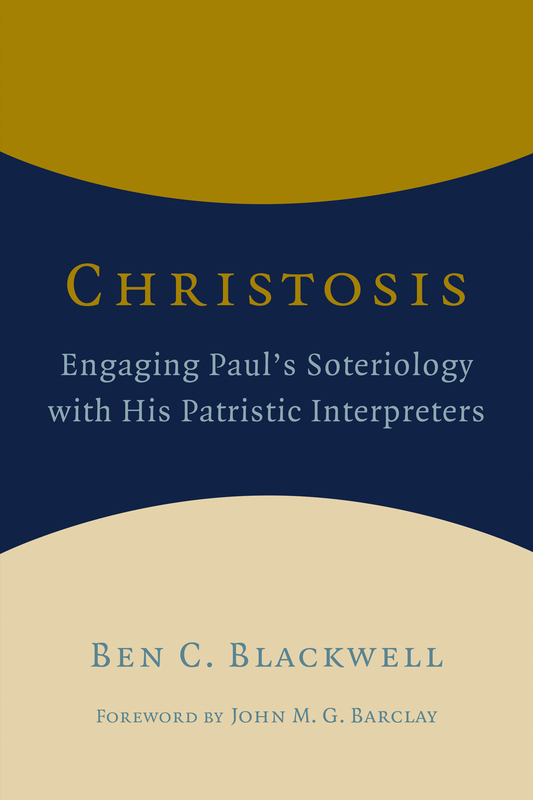 In response, my larger thesis is that other theological loci, such as the Spirit and resurrection/life, play a much larger role in Paul’s theology of justification than is acknowledged, and the book will largely be an exegetical exploration of key passages to document those connections. One aspect to my argument is that the Protestant church has specifically shifted to a solely Christological view of justification rather than a more Trinitarian one. Note, for instance, how the Holy Spirit serves as the subject of the three first statements on justification and grace in the Catholic Catechism. (In the Joint Declaration with the Lutherans, the Spirit is hardly even mentioned.) While solus Christus isn’t as directly related to justification, it fits well with the traditional Protestant view of justification, as well. Even the very helpful Reformed doctrine of “union with Christ” belies a Christological focus in distinction to a more Trinitarian participation. Thus, a substantial part of my argument is to show how resurrection is more central to justification, and thus how the Lord, the Giver of Life (i.e., the Holy Spirit), is more important to the doctrine than our tradition has allowed. In a paper for SBL’s session on Christian Theology and the Bible, I’ll show from Luther’s Galatians commentary how he connected justification with life/resurrection much more closely than Pauline scholars do today. Though I won’t be detailing the nuanced shifts in Protestant theology for the book, the work I’ve done for the essay appears to show that the shift was more of a second and third generation evolution than with the magisterial reformers–more with Lutheranism than Luther himself. My thanks to Zondervan and Mike Bird for a copy of his latest book, What Christians ought to Believe: An Introduction to Christian Doctrine through the Apostles’ Creed. I haven’t had the chance to work through the whole volume yet, but I’ve enjoyed what I’ve read so far. The structure of the book is simple. After some overview chapters about the development and importance of creeds and the nature of ‘faith’, Mike works through the Creed line by line. In his exploration of each line, Mike shows the connections with the Bible and ancient traditions. The chapters are also filled with personal stories, hymns and movie references. One element I appreciate is that the book is pastorally sensitive. Mike connects the Creed with every day life but doesn’t shy away from aspects that can be uncomfortable for some (such as the language of Father for God). This is a book that takes the Creed seriously as a summary of the Christian faith and as a call to shape one’s life by that faith. This book is not written for the scholar. That is, you won’t find here complex discussions of the text of the Creed (although it is discussed briefly) or lots of footnotes. The volume is written for the average church goer. I can imagine this book being used in a small group or Sunday School class. It is undoubtedly much better than much of the other material commonly used in small groups. I know there are other books available on the Apostles’ Creed, but I’ve not looked at them. Perhaps Mike could do a couple of blog posts on how his book relates to other studies on the Apostles’ Creed. It’s all Greek to me…and that’s the way I like it! Is learning and keeping up the biblical languages worth it? A dozen or so Anglican ministers give their reflections. Source: It’s all Greek to me…and that’s the way I like it! In nearly every work in theological or biblical anthropology one finds a discussion of the ‘image of God’. The recent volume The Image of God in an Image Driven Age: Explorations in Theological Anthropology (eds. 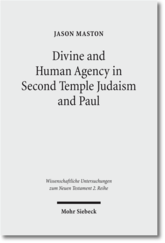 Beth Felker Jones and Jeffrey W. Barbeau; Downers Grove: IVP, 2016) seeks to place this phrase in its biblical context and to draw out the theological and ethical implications of the idea that all humans are created in God’s image. The editors describe the aim of this work in this manner: ‘The Image of God in an Image Driven Age encourages continued reflection on the imago Dei in a time when narcissism reigns and new patterns of living are desperately needed’ (p.261). The papers originated from the twenty-fourth annual Wheaton Theology Conference and draw on scholars from Wheaton and wider. 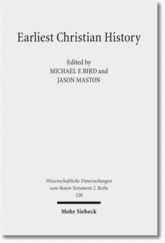 A unique aspect of this volume is that the papers are not only by biblical scholars and theologians, but also artists. The reflections on the place of image theology in art and culture adds a new dimension to the usual discussions. Part One of the book addresses the biblical material and rehearses the usual explanations for what image of God means. The papers are clear although the discussions don’t bring any significantly new evidence to the table. Catherine McDowell’s and Craig L. Blomberg’s papers would serve well as entry routes into the discussion. In Part Two the authors connect the image of God with the themes of sexuality, iconoclasm and Cormac McCarthy’s novel The Road. The chapters are interesting attempts to trace how humanity as image bearers is reflected and distorted in various ways. Similarly, Part Three expands the link between image bearing, culture and theology. 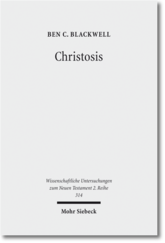 One of the more interesting papers is Janet Soskice’s piece ‘The God of Creative Address: Creation, Christology and Ethics’. She contends that image bearing should be linked with speech. She emphasizes that image bearing is a physical idea and cannot be limited to rationality. The paper is a creative theological reading of Scripture. Part Four focuses on the ethical implications of humanity as image bearing. Beth Felker Jones’ piece ‘Witnessing in Freedom: Resisting Commodification of the Image’ presents a strong challenge to the selling of the human in practices such as slavery and marketing of body images in adverts. She addresses sexual ethics as a specific form of the exploitation of humans. The volume brings up some interesting issues related to the image of God. I did feel that there was a lack of explicit Christological reflection on this subject. The Genesis account of the image of God was given priority and seemed to set the agenda for many of the papers.